NOTE: Current information about the Museum of Southwestern Biology – Bird Division collections is now available through an online searchable database. 2. Niles, David. 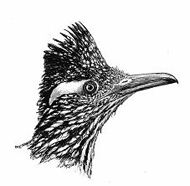 Observations on the Summer Birds of the Animas Mountains, New Mexico. 1966. 23 pp. Out of print. 3. Hubbard, John P. Check-list of the Birds of New Mexico. 1968. Out of print. 7. Huntington, Dustin, and Sue Huntington. Rare and unusual birds of New Mexico: a compilation of 20 years of NMOS Field Notes (1960-1980). 1983. 110 pp. Out of print. 1. Zimmerman, Dale A., Bruce J. Hayward, and Mary Huey. Bird-finding localities in southwestern New Mexico and southeastern Arizona. 1966. 12 pp. Out of print. 2. Montgomery, Vester A., and Mary Huey. Bird-finding localities in the vicinity of Roswell, New Mexico. 1969. 10 pp. Out of print.